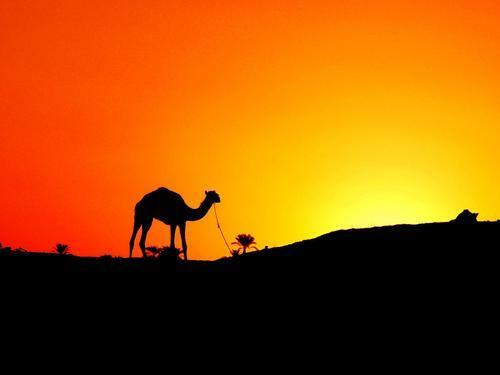 kameel, camel In The Sunset. . HD Wallpaper and background images in the Egypt club tagged: egypt camel silhouette orange red sunset black desert.